Hi. I am Brendan. 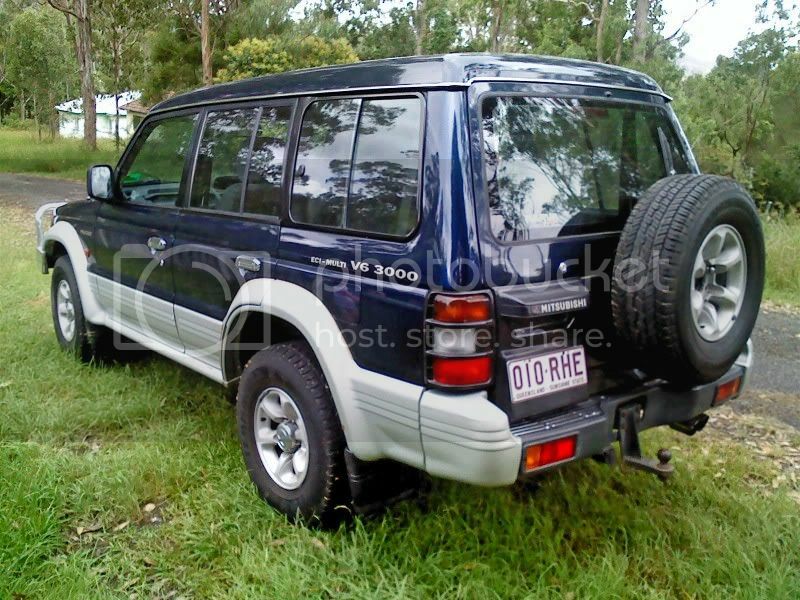 I am from northern NSW and just thought I would join a forum dedicated to 4x4's. 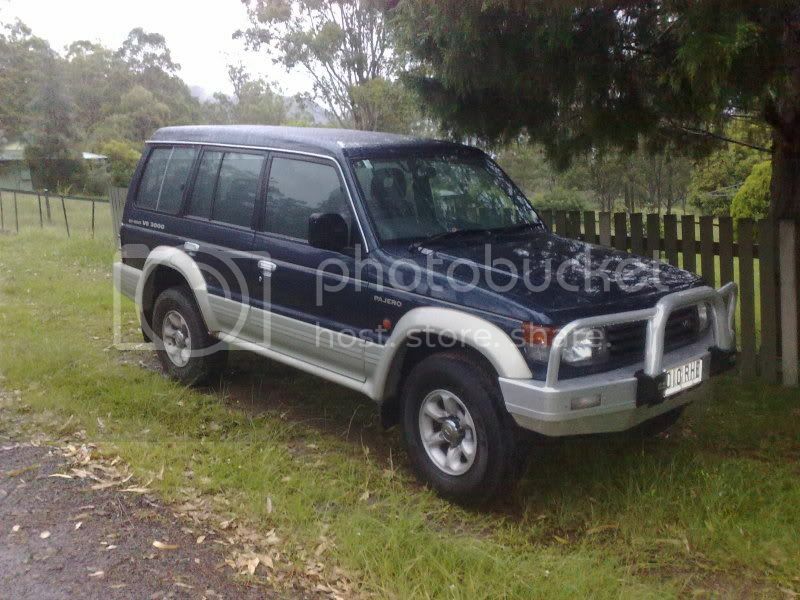 My partner and I have 2 4x4's but only one is registered as the other will be a busher/project. 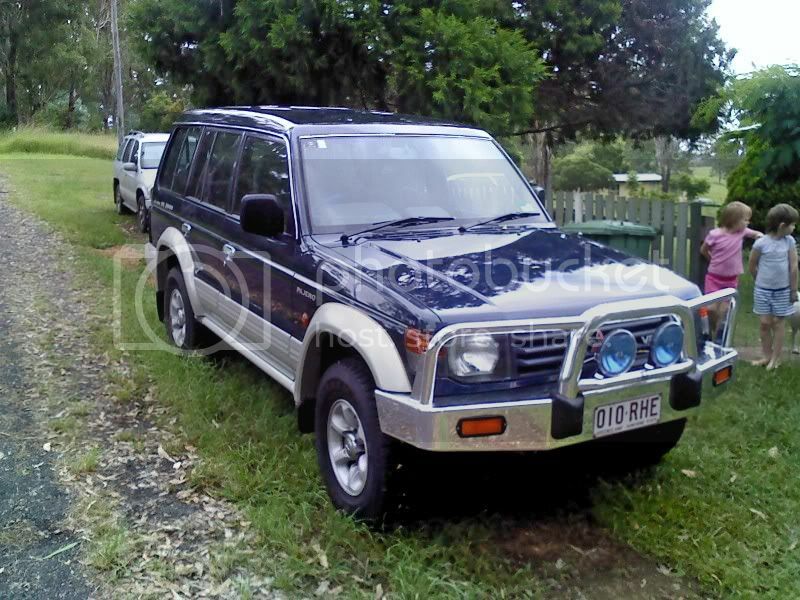 The first one is a 1994 3.0L v6 auto Mitsubishi Pajero GLS. 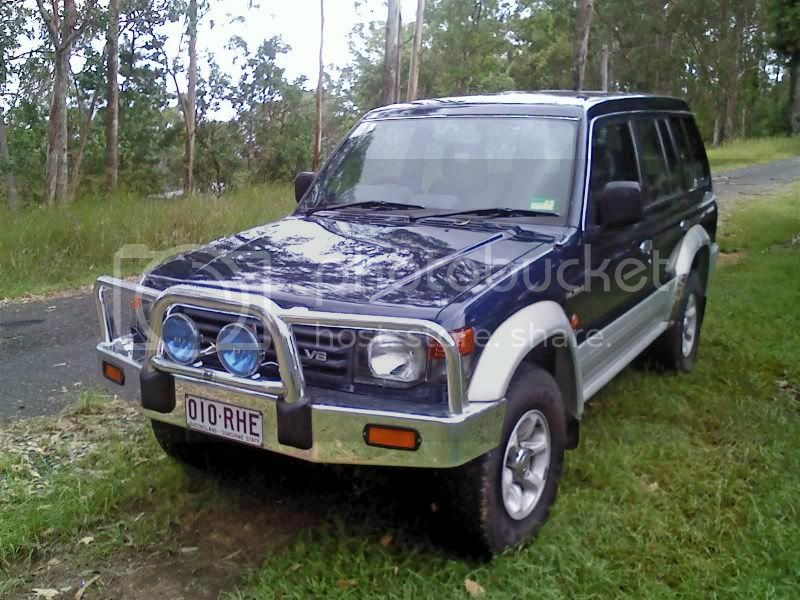 It will be the family transport but it could see some use in the bush. I have already started upgrading the stereo and ordering parts to do a few little modifications to it. The second one is a 2003 manual Kia Sportage. Now this one is not registered and has had a hard life but is still running strong despite its looks. I am thinking of doing a body lift, bigger tires, panel mods, strip the interior and possibley a roll cage. You and your partner are welcome to the forum. Hope you enjoy your stay! Northern NSW has some awesome 4wd tracks, something my wife and i constantly talk about touring up there. 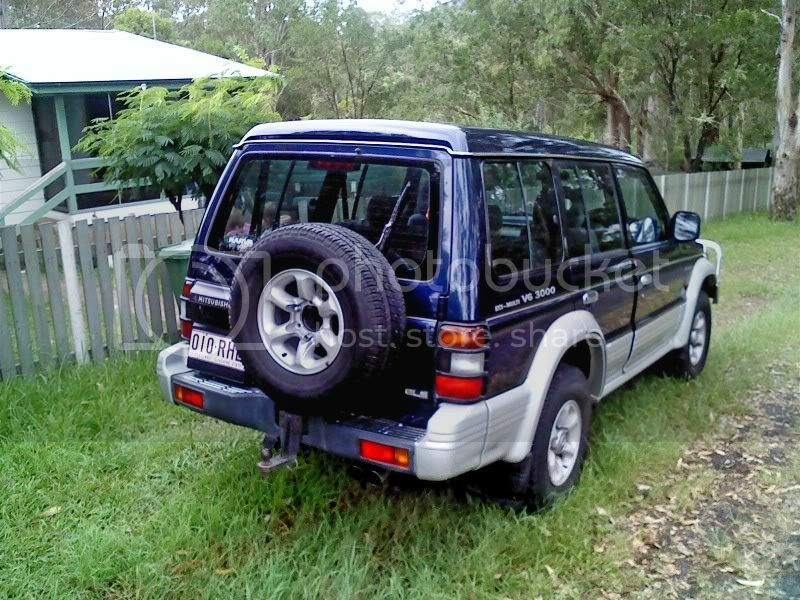 Well we finally got the Pajero back. We got it on the 22rd of Dec, crashed it on the 23rd of Dec, dropped it at the panel shop on the 4th of Jan and picked it back up today. Tomorrow I will get some more pictures but overall the car is now better then it was when we bought it. There were 2 changes made to the car due to avalability of parts. Forst change is we now have a fully polished ECB alloy bar and the cheap blue spot lights have been replaced with Narva ultima blue 175 lights. 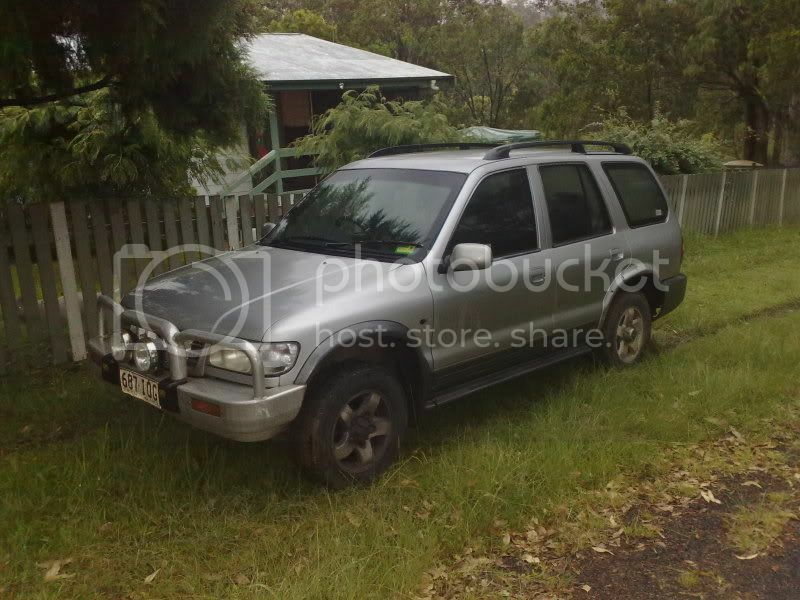 As for Levuka, my partner and I went up there last week to have a sticky beak and it definately looks like it will be alot of fun but we wont be up there in the Pajero for a while as the car is just to tidy at the moment and alot of the 4x4 tracks there arent open at the moment due to flood damage. Welcome to All Aussie mate.I have heard of some good wheelin up that way. Ok here are some new pictures. After taking the pictures my partner wanted to go down the the local water falls to sit in the water. While she did that I decided to go for a drive in the foresty and up a track that goes up the side of a mountain. Well turns out it wasnt the track I thought it was and soon after getting to the top and going back down the track quickly got very narrow which meant reversing back to the top and in the process getting a few scratches, but nothing that I can buff out. So now that I did exactly what I didnt want to do for a while in this car we could be out attempting some more 4x4 type tracks very soon. Next on the mod list is blue curtousy lights, UHF and if I can kind a single cheap old school roof rack I may add some of the other spot lights we have to make a light bar. Welcome to the forum. Put your rig up in the build up thread so we can see your progress.!!! !